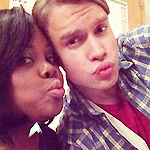 Welcome to the Samcedes Shippers Forum. Thank you so much for having decided to join us. We hope you all have fun in our community and you all participate to make this place a welcome one for all the Samcedes shippers.